Earth's oxygen-rich atmosphere emerged as transient “whiffs” in shallow oceans around 2.5 billion years ago, according to new research from Canadian and U.S. scientists. These whiffs of oxygen likely happened in the following 100 million years, changing the levels of oxygen in Earth’s atmosphere until enough accumulated to create a permanently oxygenated atmosphere around 2.4 billion years ago — a transition widely known as the Great Oxidation Event. The findings are presented in a paper published this month in Science Advances from researchers at the University of Waterloo, University of Alberta, Arizona State University, University of California Riverside, and Georgia Institute of Technology. The team presents new isotopic data showing that a burst of oxygen production by photosynthetic cyanobacteria temporarily increased oxygen concentrations in Earth's atmosphere. Kendall was a visiting student, postdoctoral fellow and faculty research associate at Arizona State University from 2006-2012, where he worked with Anbar. The new data support a hypothesis proposed by Anbar, Kendall, and other collaborators in 2007. In Western Australia, they found preliminary evidence of these oxygen whiffs in black shales deposited on the seafloor of an ancient ocean. The black shales contained high concentrations of the elements molybdenum and rhenium, long before the Great Oxidation Event. These elements are found in land-based sulfide minerals, which are particularly sensitive to the presence of atmospheric oxygen. Once these minerals react with oxygen, the molybdenum and rhenium are released into rivers and eventually end up deposited on the seafloor. In the new paper, the researchers analyzed the same black shales for the relative abundance of an additional element: osmium. Like molybdenum and rhenium, osmium is also present in continental sulfide minerals. The ratio of two osmium isotopes — 187-Os to 188-Os — can tell us if the source of osmium was continental sulfide minerals or underwater volcanoes in the deep ocean. 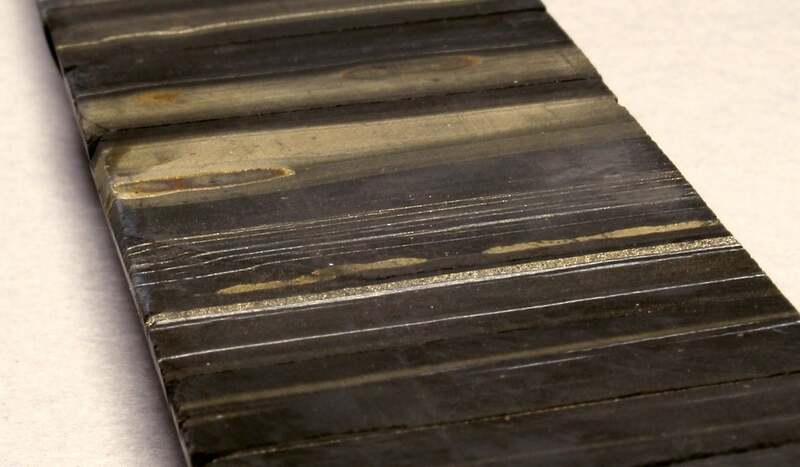 "The osmium isotope evidence for increased continental sources directly correlated with higher molybdenum and rhenium concentrations in the shale," said professor Robert Creaser of the University of Alberta, a coauthor of the study whose lab carried out the new analyses. "By comparison, black shales with lower molybdenum and rhenium concentrations had osmium isotope evidence for less continental input. These correlated changes are best explained as reflecting changes in the O2 content of the atmosphere." The paper’s authors also include professor Timothy Lyons from the University of California Riverside and professor Chris Reinhard from the Georgia Institute of Technology.